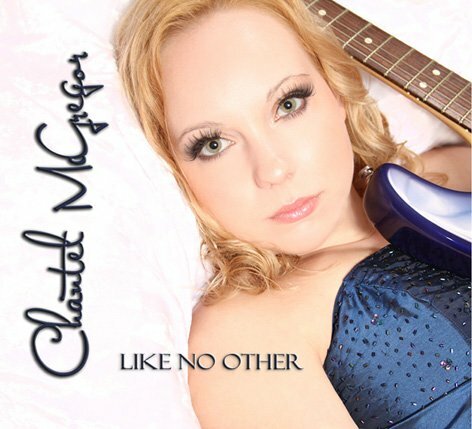 I recently emailed a young lady called Chantel McGregor about the possibility of attending her show at the Exeter Phoenix Arts Centre in order to conduct an interview and check out her live performance. She said that was a great idea and added us to the guestlist. I arrived at the venue early in order to catch 20 minutes with her before her soundcheck, as usual, we got talking and the call came, we agreed to meet up again after the gig in order to complete the interview (which is available HERE). The Phoenix Arts Centre on Gandy Street in Exeter has long been referred to as a place where you can see some quality acts, browsing their website, I can tell you that there are some amazing bands and artists coming up in the next few months and I strongly advise you to go take a look…..let's get back to the gig. I was busy writing up the interview when the support act took to the stage, I snuck in the rear doors and stood on the balcony to catch Del Bromham’s set. He started out in a band called The Traders when he was just 13 years old, going on to form his own band called ‘The Stray’ (later referred to as ‘Stray’) that went on to produce 11 studio and 3 live albums. He played songs about Mr Jack Daniels stubbing his toe and dipping it in a glass of his famous bourbon to ease the pain (The Ballad of JD) and a song about having a suit made (Nine Yards). He dug deep and performed a track that he wrote way back in 1970 (whilst in Stray), this was played on an acoustic guitar peppered with various audio effects, which went down really well amongst the mature members of the audience who were clearly around in 1970 to remember it! I on the other hand was only a distant thought in 1970 so I cannot recall ever hearing it before! His last track was a sad song called ‘Train’, a tale of someone’s sweetheart getting on a train and the man not wanting to hear the whistle as that would mean that she had left the station, this involved some audience participation when the train’s whistle blew, great fun. 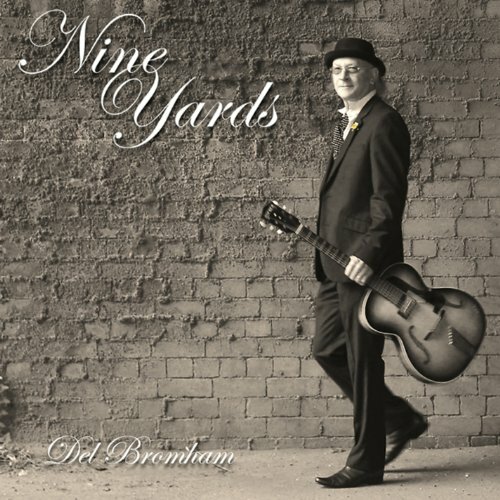 Del’s latest album ‘Nine Yards’ can be purchased below. Chantel had just walked in from a wander around the block (we all know she sneaked out for a pint) and she was due on in 10 minutes so we shuffled into the auditorium and settled down for the main event of the evening. She took to the stage bang on time and ripped into her first song ‘Southern Belle’. Her music is a blend of traditional rock, blues, some tracks sounded a lot heavier than others and at times, when standing on stage armed with just an acoustic guitar and her voice, you could hear a pin drop. Her set consisted of tracks lifted from her debut album ‘Like No Other’ and some new material that she admitted is only the 4th time on this tour that she has played them (not that you would have known that unless she told you). One of the new tracks was 'Eternal Dream' which she wrote and about and performed in the style of Jeff Buckley, a very touching song indeed. Her guitar solo work is amazing, I have seen many guitarists over the years who are more than proficient in the ‘shredding’ department, whilst this is impressive, they often fail to produce the goods in other, less technical areas, Chantel on the other hand is a dab hand at moving from a classic blues riff, turning things up to ‘11’ and producing the most mind bending solo’s before dropping back to a solid riff in order to keep the train on the tracks. I also admire her ability to stick two fingers up to the critics who feel that she should be a leather clad, thigh-high boot wearing, axe wielding tattooed rock chick, who instead favours floaty dresses and bare feet. Richard Ritchie performed a sterling role on bass, his effortless style really allowing Chantel the foundation she required in order to take her playing through the roof. No band is complete without a drummer and Keith McPartling provided the glue that kept everything firmly together. I did wonder how the band’s dynamics would alter if you introduced keys or maybe a rhythm guitarist into the mix, maybe Chantel is happy with the current line-up enough not to have to explore these avenues. From checking out her music on YouTube, I was hoping that she may have sneaked a Hendrix cover into her set, sadly for me, this wasn’t to be, preferring instead to play her newer material that is sure to set the fans alight early next year when the album emerges. Chantel is on TOUR between now and February 2015, taking in the majority of the UK and also a couple of European dates in Luxembourg and the Netherlands. If you get the chance to see her live, take full advantage, it will be a night that you’ll remember for years to come….